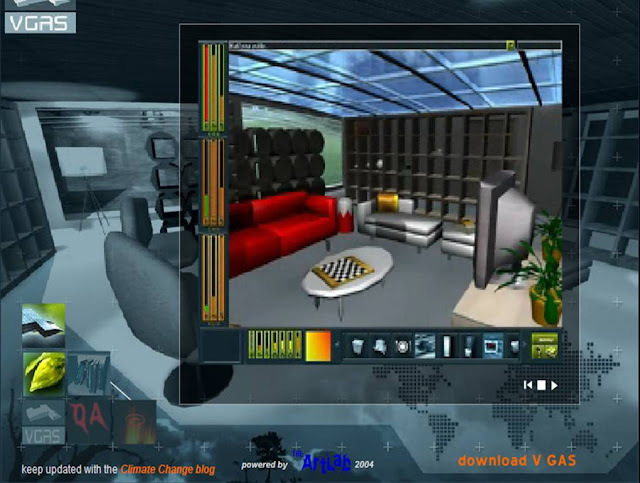 V GAS is a virtual reality simulation game for young people that demonstrates the impact of lifestyle choices on climate change. 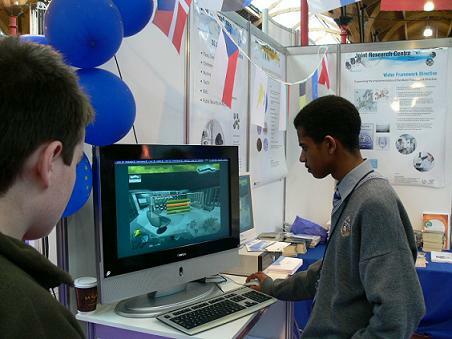 Developed within the EU funded VIRTUALIS project, the game was showcased at the Irish Young Scientist Exhibition, in Dublin, from 9 to 13 January. 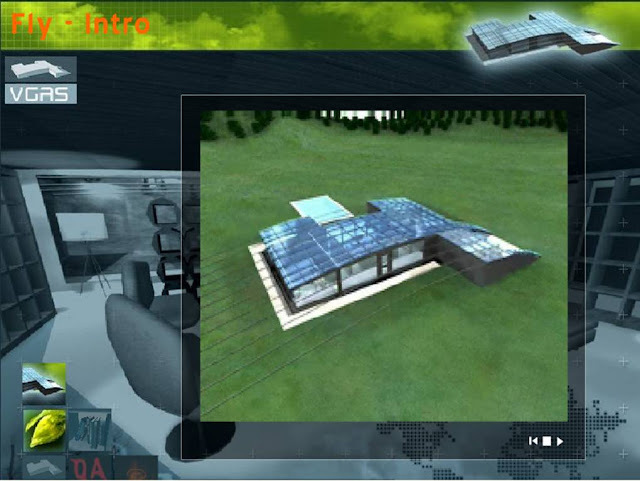 The game is set in a three-dimensional house, where players have to build their own profile. This involves players stating the dimensions of their house, setting the thermostat and the lighting, installing the same types of household appliances and gadgets that are found in their own home, and selecting their hobbies and means of transport. 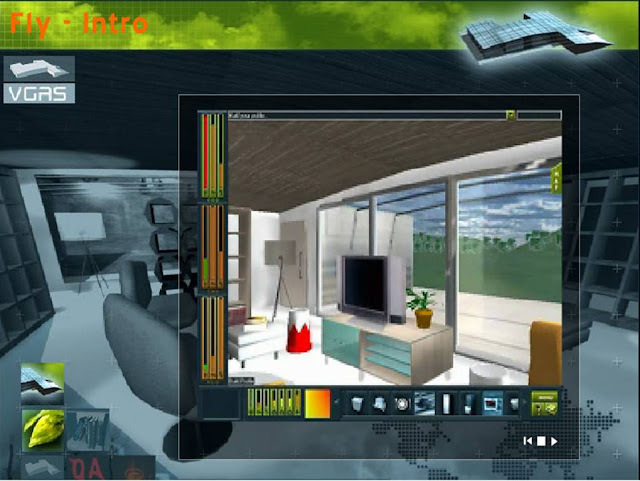 The idea behind entering all this data is to transform the 3D house into a mirror image of a player's house. After building a profile, players can then start the game by moving about the house. The objective of the game is to emit as little greenhouse gas as possible, whilst maintaining home comfort and assuring functionality. Players are confronted with different scenarios in which they must make lifestyle choices and trade-offs, like 'what are the trade-offs if I change from private to public transport?' A player's behavior is recorded and their actions are reflected in the methane, carbon dioxide and nitrogen oxides levels displayed on the screen. Several greenhouse gas sources are considered, including fuel combustion from energy industry and transport; fugitive emissions from solid fuels; enteric fermentation and manure management; rice cultivation; agricultural soil; solid waste disposal on land, and waste incineration. Players can play individually or in groups, and can compare their emission levels with those of their country as a whole and the rest of the world. 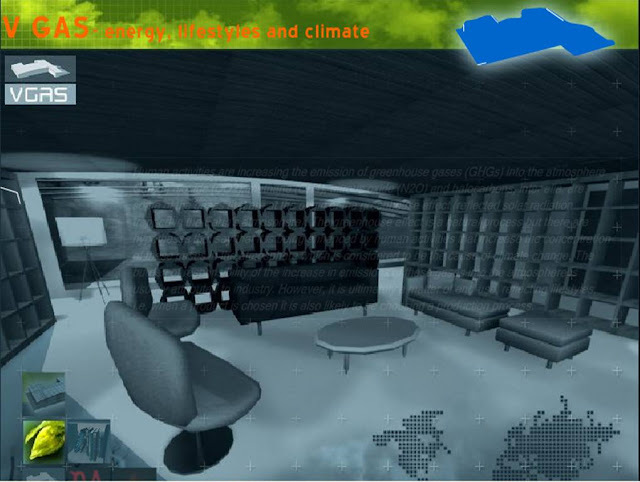 The game includes a virtual library to help players get to grips with the subject of greenhouse gases and their implications, and to find out what the EU is doing to try and curb emissions.